The Red Planet has once again caught the world’s imagination with an unbelievable new image of a storm at the planet’s North Pole. 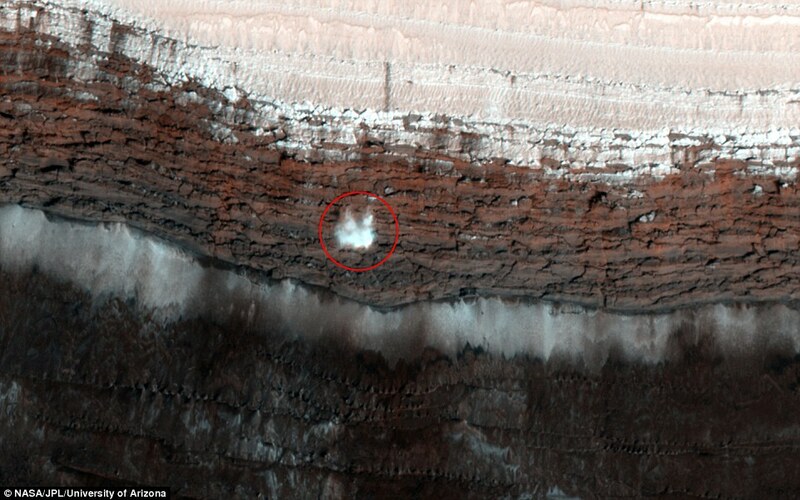 Intense avalanches such as this are common on Mars, mainly in the northern hemisphere during the Martian spring. But not like the snow of Earth’s avalanches, the ones on the Red Planet are made up of carbon dioxide frostiness – or simply dry ice - that generates frost at the planet’s poles. Throughout this time of year, Mars' North Pole warms, and the resulting thermal increase causes avalanches in the carbon dioxide frost. The High Resolution Imaging Science Experiment (HiRISE) camera on the Mars Reconnaissance Orbiter succeeded to capture the image in the North Polar coated deposits. The Carbon dioxide frost was first spotted on Mars in 2003 by scientists at the California Institute of Technology. Most of the ice on Mars’s polar caps are made up of water ice, but carbon dioxide ice can be spotted in a thin coating on the surface.